I have yet to meet someone who would decide to get old if given a choice. It’s a process that just happens over time, and it isn’t fair. However, we don’t make it any easier on ourselves. Our culture’s collective unwillingness to value and enrich aging creates a brutally unfair mindset for anyone getting older. However, this poisonous mindset comes on slowly, and like frogs in a pot, most people don’t even realize they’ve fallen for it until they’re stuck in a recliner, overweight, in pain, and depressed. Does that describe you? So, you’ve aged. It’s time for you to stop ignoring the rising temperature and note the gradual changes that have happened and how they affect you day-to-day. Sit down and list the ways your body and mind have changed, and you’ll be amazed at how they shrink from nebulous, ominous bogeymen to simple changes that happen to everyone (and don’t have to ruin your ability to thrive). I’ll get you started. Your brain works extremely hard, and eventually, neurological connections and paths start to break down. It’s sort of like when you take that shortcut through the grass too many times: eventually, there’s no grass on your path any more. If you saw “brain activity slows down” and felt your heart sink in resignation, let me stop you right there. The slowing I’m talking about is a general trend, not a blanket verdict. The truth is, a lot of the breakdown in elderly brains comes from disuse. You might not be able to reach into your brain and reconnect a neuron, but the usage of your brain is 100 percent in your hands. If you didn’t hear me the first time: it’s in your hands! A general trend is no excuse for completely letting yourself go, so don’t do it. Aches show up and stick around. 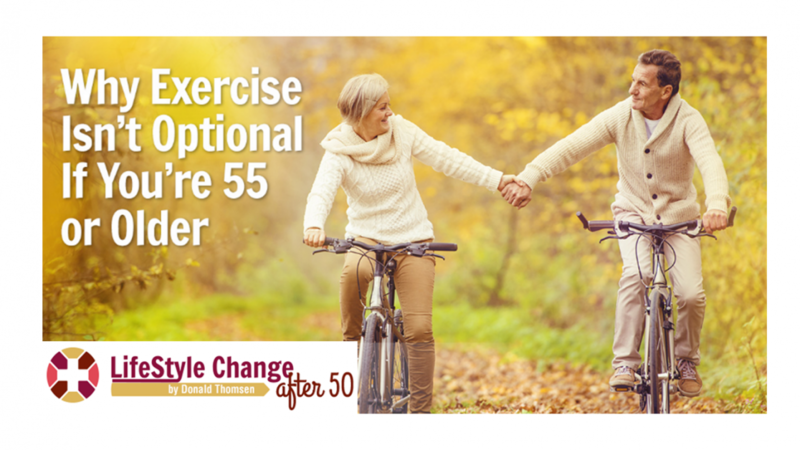 Whenever I approach people 55 years or older about staying active, physical discomfort is one of their go-to excuses for remaining miserably sedentary. Suffice to say, some pretty interesting discussions have followed. Yes, we have bad backs. Yes, our knees and hips hurt. Yes, arthritis is no joke. It is important to identify where our bodies are having trouble so we can thrive in a way that uniquely fits us. However, there’s this widespread, baffling misconception that being active makes aches and pains worse, when in fact it’s the one thing that can bring lasting relief. Medication can do a lot, but it brings a lot of damaging baggage along, too. Our bodies are designed to help keep themselves going, but when we give up and go still, we cripple ourselves…and then we suffer for it. It makes no sense. Don’t do it! Changing sleep patterns, slowing metabolism, and decreasing muscle quality can contribute to generally feeling like you have less energy. However, did you know that bad daily habits, unhealthy eating, and sedentary lifestyles cause the aforementioned problems? While aging causes some changes on its own, we bring a majority of them upon ourselves. This is actually cause for celebration, because if we can make something happen, we have the power to stop it from happening, too. I think a lot of people my age know this, but they use getting older as an excuse to avoid it. Does that describe you? At the end of the day, you’re either thriving or you’re surviving. Too many people settle for survival, failing to realize they don’t have to live that way. 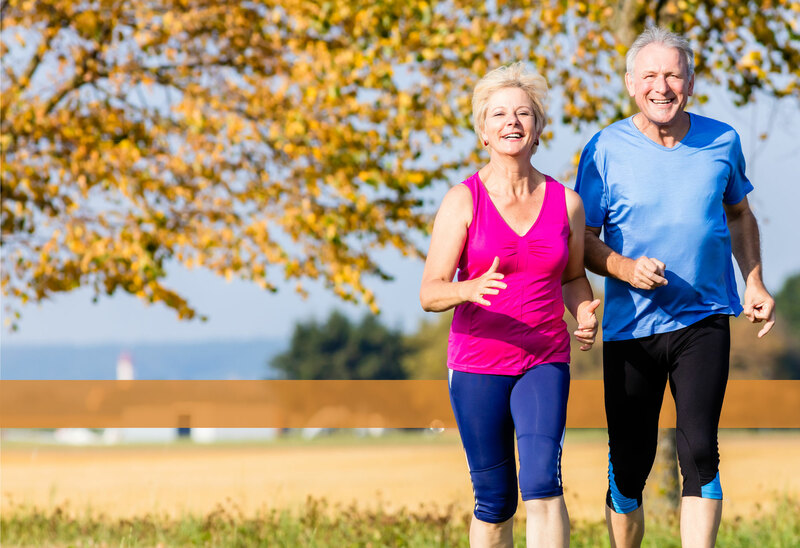 My services on exercise for seniors are here to show how a thriving, active lifestyle can be tailored to fit you. Let’s get started today! Sign Up for my FREE Newsletter then JOIN US in our 12 week Fitness/Wellness Program.